Hardayal Singh Chouhan passed the school in 2010. Then he went to Jodhpur for his higher studies. 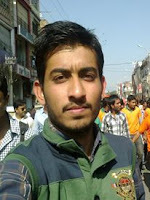 He finished his XII Science/Math from Cambridge School, Jodhpur in 2012. Then he did his graduation and now is doing BTech from CTAE, Udaipur. He was a very sincere and brilliant student. His only passion in life is learning. Wednesday, 6th September: Staff had a PDP Session with Chairman Mr. Sandeep Dutt. New changes in Level 03 was discussed. Update of PDP in the month of August was given. Presentations prepared by the Teachers to be uploaded in Google Drive. A new book in Hindi will be introduced for Level 3. Mr. Krishan Gopal will choose one from the three novels. The Staff wished ‘Happy Birthday to Mr. Jaffar Khan. May God bless him and all his dreams come true. Tuesday, 5th September: After Assembly students put up a small program for Teachers’ Day Celebrations. Show was anchored by Chanchal Choudhary/XI/ DH & Kirti Malviya/XI/DH. 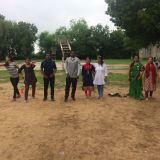 The show started by giving a token of appreciation by the students of primary section who were dressed up as their teachers and enacted their role. Speech was presented by Priyanka Choudhary/ XII/DH. Mansi Choudhary /IX/DH, Dhawan Choudhary/V/TH and students of Primary section mesmerized everyone with their beautiful dance performance. The students of Class IV did gymnastic stunts. Class XI girls performed a beautiful dance. Compliments were given to teachers with a token of appreciation by Class XI and XII. Games like Bombay to Goa, Passing the Parcel were played. After the school got over, teachers were shown a PPT made by Class XI in the Staff Room which was followed by the cutting of the cake. Then the Teachers had lunch and dance party at Hotel Mana and a silver coin was gifted to them as a token of appreciation. Thank you Principal Ma’am and Chairman Sir for making the day! SDT: A good teacher is like a candle it consumes itself to light the way of others. RSG: A great principal builds character inspires dreams, encourages creativity builds confidence, and instills a lot of learning. Touches our heart and changes our lives forever. And we think that you will be the one who will fulfill our dreams or make our dreams come true. BJH: You are not open to many people, you are usually quiet and you don’t really like attention. So, if you like enough to show us real you must be very special. BRO: Without you we would have been lost you are like our mother. Thank you Bharti Ma’am for guiding us, inspiring us and making us what we are today. AVI: You are the best teacher who teaches from heart not from the book. KDE: Sahi kya hain galat kya hain, yeh sabak sikhate hain aap, juth kya hain sach kya hain, yeh baat samjhate hain aap, jab sujhata nhi kuch bhi, raaho ko saral banate hain aap. PRD: You teach attention which is divided by added distraction, multiply your mental traction by doing a bit of simple subtraction. SNI: You may not teach us hoe to add love or minus hate. But you give us every reason to hope that your every problem has a solution. KSA: You are the one who teaches and show us world as a global village, a world without boundaries, there is no caste, no religious we all are together and one. So, thank you for showing us the world in different ways. UGI: A teacher is the one compass that activates the magnets of curiosity, knowledge and wisdom of technology in the students. RRE: Aapse hi sikha aapse hi jaana, aap hi ko humne guru maana seekha hain sab kuch aapse hi humne kalam ka Matlab aapse hi jaana. SVI: A teacher’s purpose is not to create students in his own image, but to develop students who can create their own image. So, the teacher is none other than Sharmila ma'am who supported and motivated us a lot. MVV: We found guidance, friendship, discipline and love everything, in one person and that person is Monika Ma'am. ICN: By doing what you love, you inspire and awaken the heart of others. URE: You are the best teacher who show us where to look but don't tell us what to see. So, U are the best teacher Urmilla Ma'am. GME: You know you’re a teacher when you remember the names of 427 formers students but you can't remember where you left your phone. VRT: You are the one who taught us life is like a camera, focus on what is important capture the good times, develop from the negative and if things don't worn out than take another shot. KRO: A teacher takes a hand, opens a mind, and touches a heart. KDA: From homework to detention, from advice to inspiration everything you're been has pumped us up with motivation. So, thanks for planting the seeds of knowledge. KDI: You love your job, it shows your students love you, too thank you for being a great teacher. UPR: You are the one who teaches us to paint the lessons of life on the canvas of our heart. So, we so lucky to have a teacher like you. ATK: You are the one who sees each child as a child and not a diagnosis. You see your class as individual not as a drawer of case files. TMA: We may not remember everything you said but we will always remember how special you made us feel. So, thank you so much for supporting and inspiring us. VKR: For the world you may be just a teacher but for your students you are star. ZKN: If you able to read than thank a teacher. But if tou can find something to search than thank a library teacher. Because he is only the one who force us to read books instead of doing time pass in the library. PDI(Music): A good teacher is like a good entertainer who must hold his audiences than he can teach his lessons. MJL(Physics): You guided us when we lost in physics. You supported us when we were weak in our basics. You helped us by making the concepts interesting, so, thank you so much sir. PDI(Chemistry): Think like a proton and stay positive because if we think like a electron it can spoil the life or there is no hope. MCN(Biology): "Experience is the best teacher" but for us having you as our teacher is the best Experience. NMA: The way you teach the knowledge you share, the care you take. The clove you showed makes you a world's best teacher. SSD: We are so glad because you are the one who is always there for us when we need someone to really guide us. So, thank you so much for being always for us and for your great support. SKS: An hard teacher is the one who test first than listen afterwards. PNG: A good education is like an saving account the more you put into it, the richer you are. KSH: Happy teacher's day sir and thank you for your great support. SBS: Happy teacher's day sir and thank you for your great support. 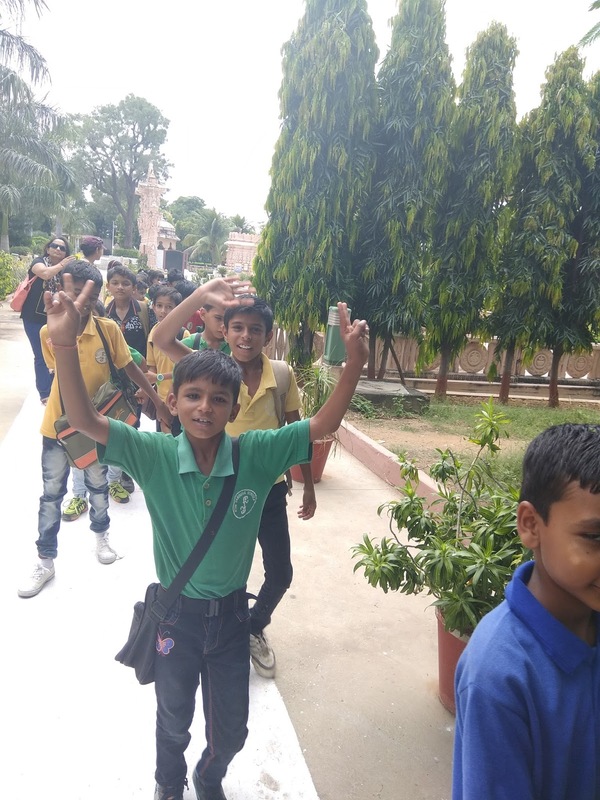 The school organized an educational trip for classes II-IV to Pavapuri. 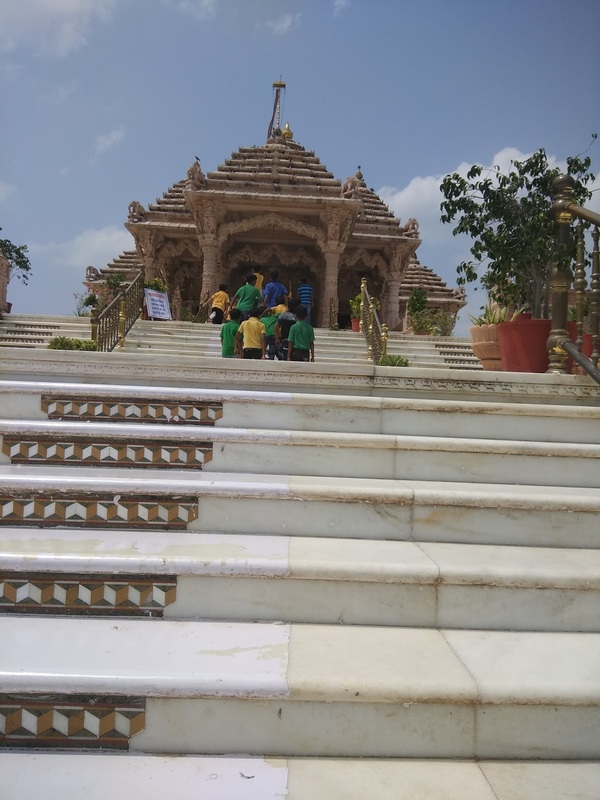 The students visited Jain temple there. 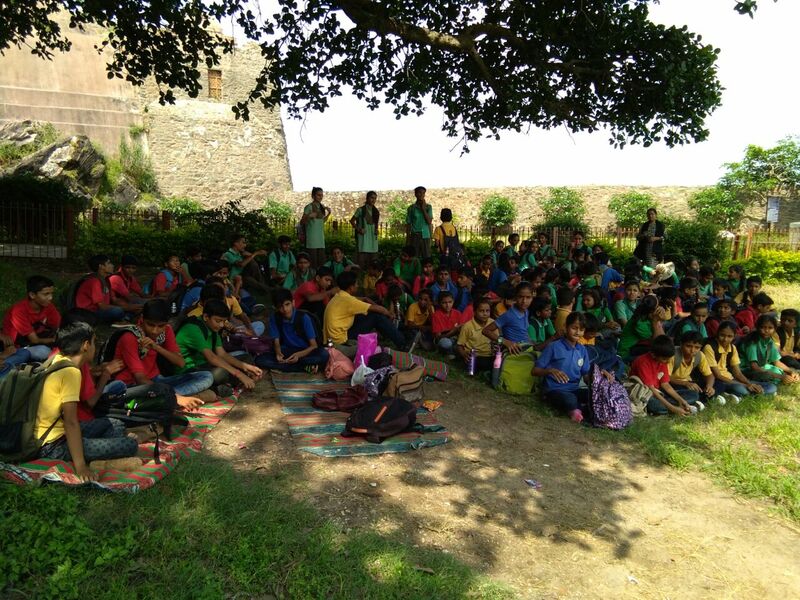 There were seven teachers and 65 students who boarded the bus to go to Pavapuri. Some games were also organized for students like antrakshri, hide and seek. The school distributed some fruits, snacks, chocolates and juice to the students. 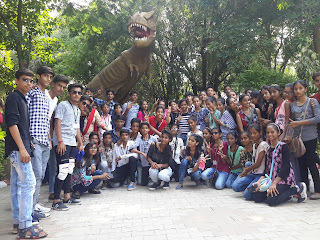 They enjoyed a lot at Pavapuri. They reached school at 5:54 PM. Students were dropped on their respective stops by the buses. -Ishu Chouhan/ Educator.